For fans of Spanish wines, and particularly those crafted from tempranillo - Spain's finest indigenous red wine grape - the 2001 harvest may have produced one of the greatest vintages of all time - an ironic conclusion to a rollercoaster growing season afflicted by hard frost, inordinate heat, prolonged drought and potentially damaging rains. On back-to-back visits in September and October, I spent more than six weeks prowling the vineyards of Spain's key red wine-producing regions - from the firmly established La Rioja, Ribera del Duero, Navarra, Penedès and Priorato to up-and-coming spots such as Toro and La Mancha. A veteran of more than a dozen Spanish harvests, I have rarely seen grapes in such healthy condition or a harvest season (vendimia) that enjoyed such propitious weather. 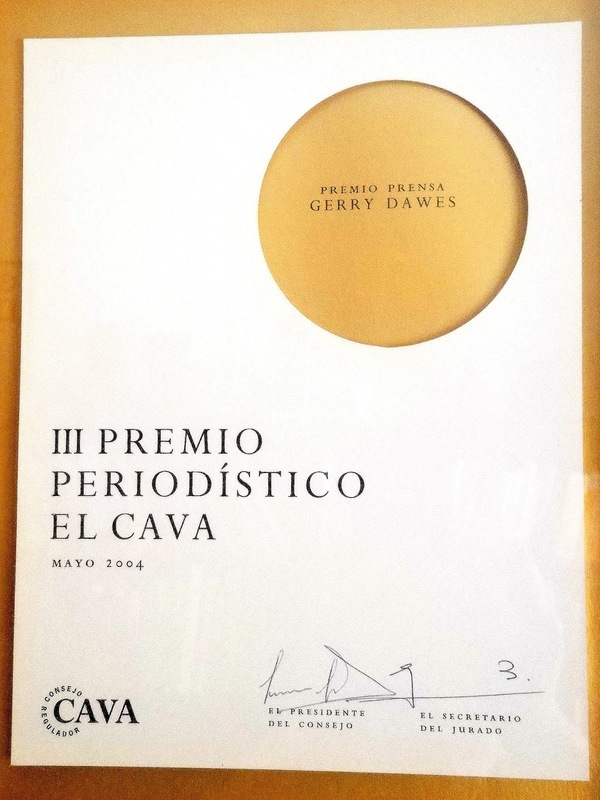 In their reports on the 2001 vendimia, most of Spain's preeminent winemakers concur. In the top red-wine regions, many are using such superlatives as magnífico, espectacular, extraordinario and una cosecha para la historia (a harvest of historic quality) to describe the 2001 vintage. In those early reports, they expressed confidence that the resulting wines will have great depth of color, superb aromatics and concentrated flavors. The best of them were already showing "silky tannins" that will make them drinkable young, but still auger well for long-term cellaring. Some producers in La Rioja, where tempranillo is the main grape, predicted the 2001 vintage for red wines would be superior even to the exceptional 1994 vintage. A few even ventured that last year's wines might be the best since 1964 (considered by most experts to be the standout vintage of the 20th century in La Rioja). All was not so rosy, however, earlier in the year. Rather, prospects looked downright grim. In April, hard frosts and "black ice" (caused by freezing mist, thin coatings of ice covered the vines) wiped out 20 to 60 percent of the expected crop in many major wine regions. In the Ribera del Duero, José Manuel Pérez, the Pérez Pascuas family's enologist at Viña Pedrosa, says his crop was only about 40 percent of normal quantity. Summer brought near-drought conditions to many regions. Miguel Torres, president and technical director of Bodegas Torres, reports his crop was down 25 to 30 percent in Penedès and in Cataluña in general. South of Penedès in Priorato, an area accustomed to dry years (and resulting wines with high alcohol levels), Carles Pastrana of Costers de Siurana, producers of Clos de L'Obac, says summer was inordinately arid, even by Priorato standards. Alvaro Palacios, owner-winemaker of Bodegas Alvaro Palacios, says the early summer dry spell, in tandem with prolonged heat, caused yields to plummet to 50 to 70 percent of normal. Then, in late summer, torrential rainstorms hit places such as La Rioja, prompting Bodegas Muga owner Isaac Muga to use some salty expletives to describe the gully-washer that had struck his particularly fine-looking stands of grapes. At first, many winegrowers, such as Muga and his son, Jorge, thought the tardy rains would swell the water-starved grapes, only to be followed by more rains ruining what was already going to be a short crop. The September storms broke the drought (a few regions got a little precipitation in August, too). As it turned out, the rains gave way to classic autumn weather, and the grapes ripened under nearly perfect conditions in most of Spain's key wine regions. Many growers, though disappointed with their lower yields, were compensated by the superiority of their red grapes. Shortly after the harvest in Cataluña, Miguel Torres observed: "In terms of quality, the result has been excellent with extremely healthy grapes possessing a great wealth of sugars, aromas and tannins." Within a few months, Torres reconfirmed his earlier assessment: "The wines of 2001 are excellent, particularly the reds." 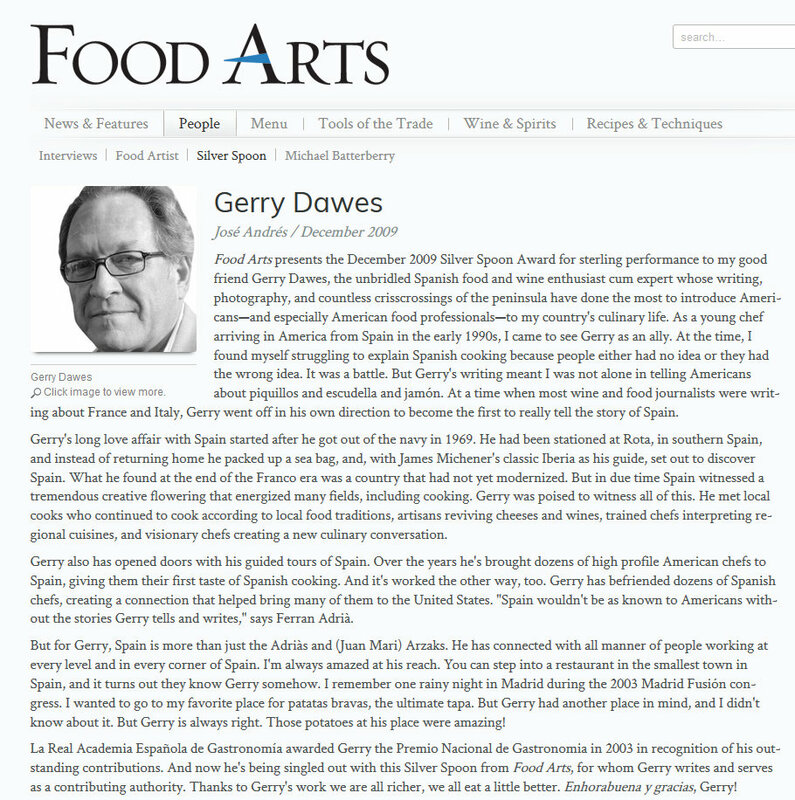 Although he is more famous for his cabernet sauvignon-based wines, such as Gran Coronas (Black Label), his Merlots and his Grans Muralles (a blend of four recovered Catalan varietals), he also grows tempranillo, generally using it as a blending agent. "The standout red wines this year are my Tempranillos," he reports. "They are probably the best we have tasted in the past ten years, yet the Merlots and Cabernet Sauvignons are also among the best of the past decade." Torres also predicts great things for his Grans Muralles blend (it hails from an estate in the Conca de Barberá denominación de origen). "The colors are very intense, and it is full and rich in the mouth with an exquisite density of flavor that presages a great future for this wine," Torres says. He also vinified 5.5 tons of fruit from the first harvest of his new vineyard in Priorato. "Despite the fact that the vines are so young, in 2001 we got intense fruit and magnificent structure," he says. Trailblazing Priorato winemaker Alvaro Palacios, one of Spain's brightest young wine stars, is acquainted with the 2001 vintage from a three-point perspective: In addition to making wine at his eponymous Priorato winery, he oversees with his brother Rafael their family winemaking operations at Bodegas Palacios Remondo in La Rioja Baja and, with a cousin, he makes wines from a spectacular old-vines mencia (a grape related to cabernet franc) vineyard in Bierzo (an up-and-coming DO in northern Spain's León province). "The potential in all three of the regions is great," he observed in December. "My Priorato wines [which include the stellar old-vines L'Ermita Vineyard] will be unusually potent and concentrated. The sporadic September rains served to stabilize the sugar levels and give the wines more acidity to balance the richness." He expects an excellent wine from L'Ermita in 2001. Carles Pastrana of Costers de Siurana, producer of Clos de L'Obac, says his 2001 Priorato wines have "fantastic concentration." 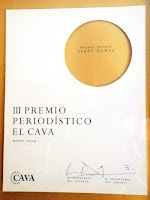 Pastrana, who makes some of the longest-lived wines in the region - his 1998, 1999 and 2000 wines are remarkable - harvests Priorato's native garnacha and cariñena grapes before they reach the overripe levels that many wine critics seem to prize these days. He noted that while the normal harvest period lasts 40 to 45 days, because of the heat and dry weather in 2001, Clos de L'Obac's harvest was completed in just twelve days. In the Ribera del Duero, at the Pérez Pascuas family's Viña Pedrosa, their high-altitude estate in the Ribera de Burgos region, yields were about 225 gallons of wine per acre. Shortly after the harvest, Pedrosa enologist José Manuel Pérez predicted that 2001 would be one of the greatest vintages of all time in the Ribera del Duero. Interviewed again in February, he remained true to his earlier assessment. "The evolution of these wines in barrel has been magnificent; they are perfectly balanced and show enormous potential as wines for laying down. We are still talking about a year that can be defined as being among the greatest of the Ribera del Duero's great vintages," Pérez confirms. In the warmer western zones of the Duero Valley, Bodegas Mauro's Mariano García, the man many believe to be Spain's greatest winemaker, is slightly more circumspect. 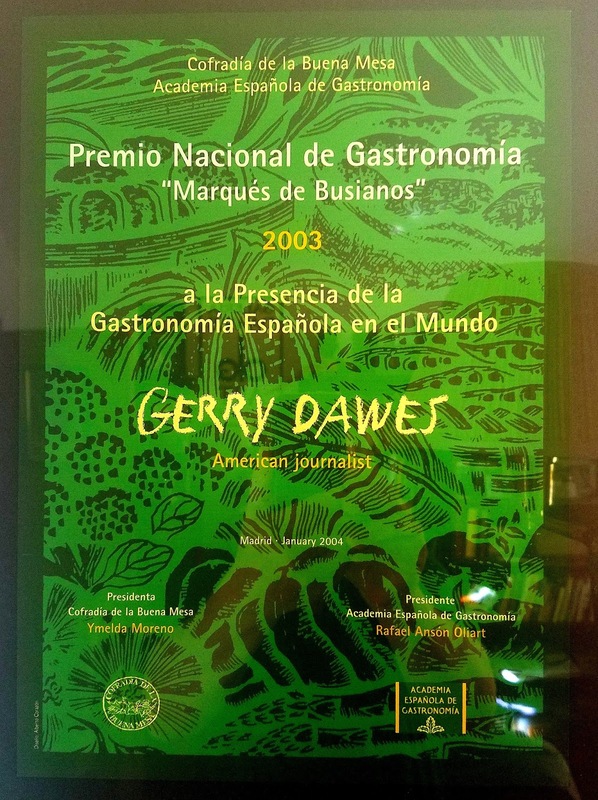 "Two-thousand-one has been an excellent year in the greater part of the Spanish geography," observes García, who also owns Maurodos in Toro and consults at a handful of bodegas in his Castilla-León region and in La Rioja. "It was a short crop, but it has given ripe, very concentrated, deeply colored wines. In the Ribera del Duero and in my Tudela vineyards, 2001 can be compared to 1999 for the quality of its fruit tannins. The wines will be very fruity and should age well." 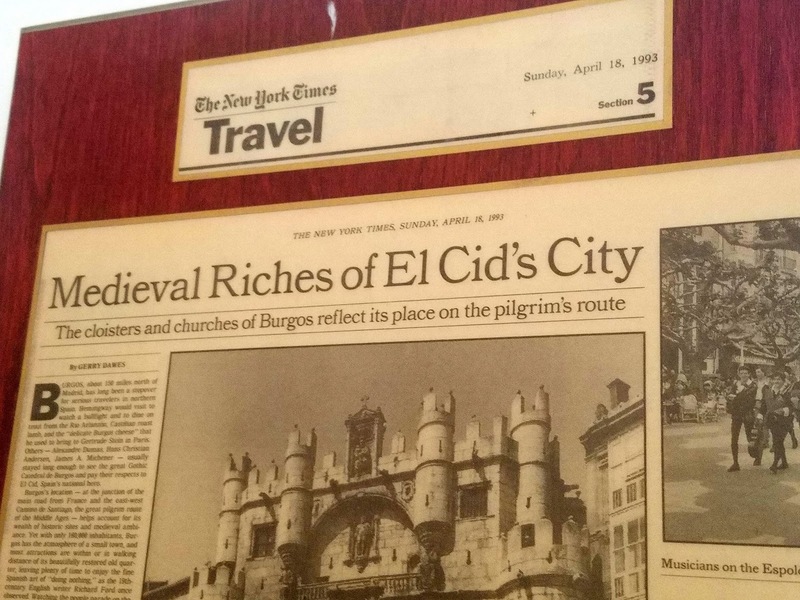 Florian Miquel Hermann, a wine writer for El Mundo, one of Spain's top newspapers, is cautiously optimistic about the 2001 wines of the western Duero Valley. "There is indeed a lot of euphoria concerning the 2001 Ribera vintage," he says. "I've tasted little so far - only at Mauro, Leda, Aalto (all made by García's hand) and Abadia Retuerta, another non-DO wine from this region - but based on this limited sampling, I found much to like. On the other hand, I strongly believe that it's too soon to judge whether 2001 qualifies as a truly 'historic' vintage. "We shouldn't forget," Miquel Hermann continues, "that there are many microclimates in the Ribera Valley and that there was hail and frost just after flowering. Therefore, the growers got significant percentages of second generation fruit," he explains. "Obviously, everybody claims that he has eliminated these bunches, but knowing the mentality of the viticultores, I can only smile. All that said, polyphenol levels [phenolics are the myriad organic building blocks in wine that account for color, tannin and flavor attributes] seem to be very high everywhere," adds Hermann, who remains on the fence. Hermann is not alone. By late February, Spain's famous Vega Sicilia, located at the western end of the Ribera del Duero, had announced it would not make a 2001 Unico, the wine it produces only in what it recognizes as exceptional years. Those who follow Vega Sicilia, however, understand this is not necessarily a warning that the vintage was not great elsewhere. For example, Vega Sicilia's reserve vintages have been an anomaly on many occasions, making Unico in such years as 1974 and 1987 - vintages that were not considered outstanding years by other wineries in the region. According to Winemaker Xavier Ausas, the hard freeze that hit Vega Sicilia's vineyards in the spring wiped out a large percentage of the crop: "A second flowering of the vines followed, but it produced fruit that lacked the characteristics required for our top-of-the-line Unico, which can spend from 15 to 25 years aging in our cellars." Instead, the grapes that he deemed of "good quality" were destined for the Valbuena and Alión wines. In contrast, west of the Ribera del Duero, in Toro, Mariano García again had much for which to be thankful. "The crop was 50 percent of normal, but we have some very opulent, tannic wines," he reports. "The key is the fact that we have achieved elegance and balance." In Navarra at Bodegas Julián Chivite, Fernándo Chivite, one of Spain's most accomplished winemakers, is ecstatic. He believes "2001 is the best harvest in our history: The yields were low, the concentration is spectacular, and the wines will be extraordinary." Of particular promise is the fruit from Chivite's Arínzano estate, which is ranked among Spain's top vineyards. Many winemakers in La Rioja, the most important red wine-producing region in Spain, were also elated by the quality of the 2001 vintage, even though production, primarily due to stricter Rioja DO controls, was 25 percent below that of 2000 (a weak vintage for many producers). Francisco Hurtado de Amezaga, technical and production director of La Rioja's oldest winery, the now renascent Marqués de Riscal, thinks the newly renovated bodega's 2001 wines will be noteworthy. "In La Rioja in general, and particularly at Marqués de Riscal, 2001 has been, without a doubt, exceptional," Hurtado says. "Above all, our wines will be characterized by their finesse. Additionally, the quality of the tannins is superior even to the great 1994 vintage. 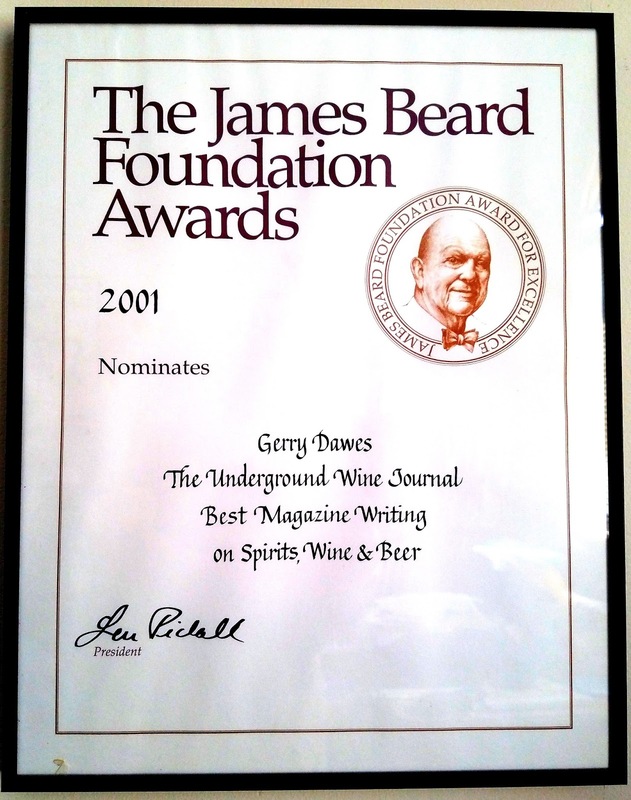 The 2001 wines are rounder and sweeter than the 1994s." Hurtado, like Torres, is particularly impressed by the quality of the tempranillo: "We sincerely believe that 2001 is a year in which tempranillo has come very close to reaching its greatest potential, if, indeed, it has not done so." Jésus Madrazo, a member of the family that owns the Compañía Vínicola del Norte de España or CVNE (pronounced Koo-nay) and Contino, a single vineyard Rioja Alavesa "chateau" winery at which he is winemaker, was nothing short of effusive about CVNE's 2001s. "The stability of the color held up magnificently after malolactic fermentation and the purity of the aromatics of each varietal was maintained. We have color, body, alcohol content and beautiful aromas," he enthuses. 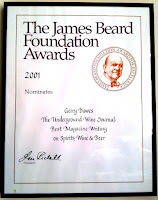 "We are standing before one of the greatest vintages in history." At Contino, Madrazo claims to have made his best Graciano ever in 2001 - "a wine as dark as ink with 14.2 percent alcohol." "They haven't seen such levels of color in La Rioja in a long time," observes Mauro's Mariano García, who also consults for such wineries as Bodegas Villabuena, producers of Viña Izadi, a fine, up-and-coming Rioja Alavesa wine. "The raw materials - black wines with fresh fruit flavors - are great, but it will be important to see how the wines evolve before we can be sure that they can be rated historic." María Martínez Sierra, winemaker at La Rioja's Bodegas Montecillo, is among those withholding judgment on the 2001 harvest in La Rioja. In November, she went on record saying she expected "very good" wines, but felt it was a bit early to proclaim 2001 excellent. By February, she had nudged her assessment up a notch: "I can confirm that 2001 is a very good to excellent vintage. The wines are very deep, intense, well colored and very rich. This is due to several factors: the growers eliminated grapes in late spring (which is key), warm temperatures persisted all season, plus the level of rainfall was ideal." She also believes "the wines have very good concentration, as well as a lot of aging potential," and compares 2001 to the great 1994 vintage. Yet she still has some reservations. "There are already several voices in the area saying that 2001 is even better than the '94, but I do not agree because the big and complex '94 wines are not so easy to repeat," she explains. Isaac Muga, one of La Rioja's most important producers, says some people in La Rioja are euphoric over wines whose sugar contents soared during the warm days of early October, yet he warns that while the grapes appeared ripe, the essential components that translate to color, aroma and structure were not fully mature. "Those who based the harvesting of their grapes solely on the sugar levels, had some unpleasant surprises after their wines finished malolactic fermentation," he says. Muga, who sources from several vineyards in the higher elevations of La Rioja Alta - in contrast to Jésus Madrazo's situation at the Contino estate along the banks of the Ebro River - says his Graciano harvest was the worst in memory. Still, Muga, who is also very high on his 2000 wines, expects both 2000 and 2001 to be superior in quality to "the mythical 1994 and 1995" crops, which were among the best in the past 20 years. If the 2001 vintage has an Achilles' heel, it could be those high alcohol levels, and the corresponding acid deficiency that is often the hallmark of such wines. As Muga points out, in some regions wines were made from fruit that was high in sugar, but not phenologically mature. Having visited all of the main winegrowing areas of northern Spain, Christopher Canaan, president of Europvin, Inc., (importers of such wines as Vega Sicilia, La Rioja Alta and Clos Mogador), underscores Muga's points. "Everyone is happy with the vintage," Canaan reports, "even if it was not always easy to judge the correct maturity of the grapes. The alcohol levels everywhere are high (in some cases at 14.5 to 15 percent before the grapes were phenologically ripe). However," Canaan continues, "all the serious growers were able to cope with this phenomenon resulting in delicious, rich, concentrated wines with masses of ripe fruit, but also good color, structure and balanced acidity." White wines from 2001, though not being assessed in the same glowing terms as the reds, may also be quite good in many regions. Mariano Fuster of Juve y Camps, one of Spain's top cava producers, lamented the lack of rain (which could signal lower acid levels), but says all the white varieties used for sparkling wines - parelleda, xarello, macabeo (viura) and chardonnay - had a "magnificent aspect, matured at a good pace and were exceptionally healthy." 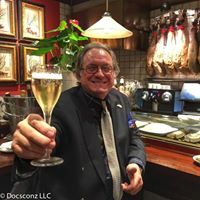 Freixenet, the giant cava producer, reported lower yields and excellent quality, but noted that the "record very dry" year had caused a "light dimunition of acidity." Miguel Torres, who makes some of Spain's best white wines, such as Milmanda Chardonnay, Fransola Sauvignon Blanc and Gran Viña Sol, says 2001, though not excellent for whites, will prove a "very good" year. He is particularly pleased with the harvest from his higher elevation vineyards of garnacha blanca, a native variety that had almost disappeared from Penedés because it was not one of the main grapes in cava, 90 percent of which is produced in that region. Whether 2001 will be as great as any of the milestone vintages of the past century remains to be seen. But it is clear already that it will produce some truly superlative wines with deep color, exceptional aromatics and superb concentration. And the good news doesn't stop there. Due to the fact that the past few vintages in Spain produced a glut of red wine, many wineries had lowered their prices on unsold wines and subsequently paid far less for top-quality grapes in 2001 than in years past. Given the perceived quality of the 2001 vintage, prices are sure to be far from cheap, but we will probably not see the absurd prices that marked many of the releases from the mid-1990s.